The Environmental Quality Advisory Council will hold its annual public hearing on the environment on Wednesday, January 10, 2018. 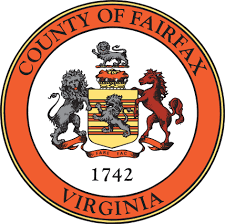 The public hearing will be held at 7:30 PM in Conference Rooms 9 and 10 of the Fairfax County Government Center, 12000 Government Center Parkway, Fairfax, VA. All interested parties are encouraged to sign up to speak. To sign up to speak, call the Department of Planning and Zoning at 703-324-1380 or send an e-mail message (EQAC@fairfaxcounty.gov) and/or submit written testimony. Or, if you’d prefer, just contact Noel Kaplan, Senior Environmental Planner, Fairfax County Department of Planning and Zoning, and he’ll sign you up and answer any questions you may have. He is available by email (Noel.Kaplan@fairfaxcounty.gov) and phone at 703-324-1369. Please note that EQAC is again providing the opportunity for interested parties to present video testimony. You can upload your video testimony (5 minutes or less is preferred) to YouTube, Ustream or Vimeo and then let EQAC know how to access your video. Your video will be presented at the public hearing. * The deadline for posting your video on-line and informing EQAC (by e-mail to eqac@fairfaxcounty.gov) of the URL through which EQAC can access the video is 5:00 PM on Wednesday, January 3. No more than one video may be submitted per person. *All videos will be screened by county staff prior to the public hearing. Each video must address one or more environmental topics. Any video with profanity or other objectionable material will not be presented at the public hearing. You will be notified if county staff determines that your video is unsuitable for presentation. You do not need to attend the public hearing for your video to be presented.